Available for law enforcement and military. 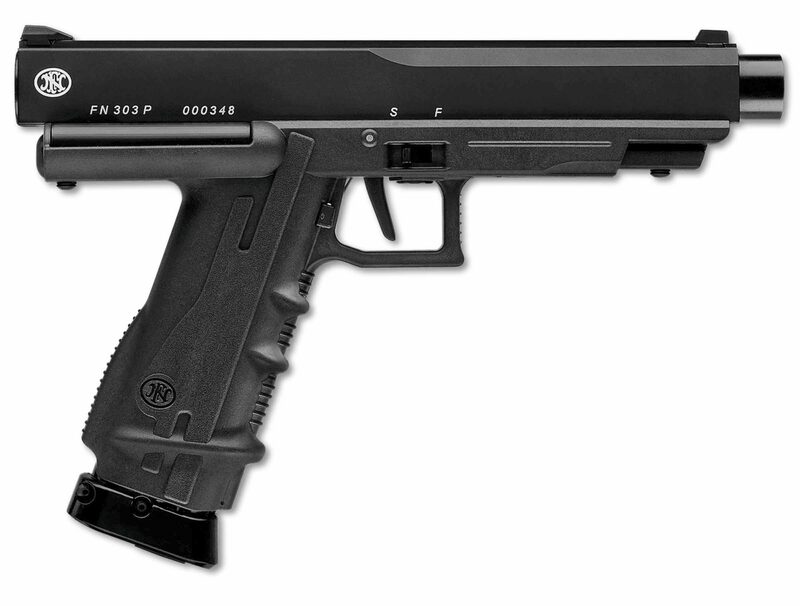 With a seven-shot capacity and an effective range of up to 25 meters, the new FN 303® -P Less Lethal Pistol offers both military and law enforcement operators an accurate and reliable option when the situation calls for gaining control of non-compliant individuals or small groups without resorting to lethal force. The FN 303® -P uses a disposable compressed gas capsule contained within the six-shot detachable magazine to launch its fin-stabilized projectile. It offers a manual safety, alloy barrel and upper frame, stainless steel firing engine, and comes with both fixed iron and laser sights to meet any lighting situation. Every FN 303® -P comes with one magazine and a lockable hard case. WARNING: Use with extreme caution. Not intended for recreational use. Misuse may result in injury or death. Avoid aiming at face or head. Read operator’s manual before use. Instruction required before use. All operators of the FN 303® Less Lethal Systems (to include the FN 303®-P) must be certified by the FN Training Team prior to deploying either less lethal system. Trigger Pull: 3 - 8 lb.